A single mother, without a home, sits in a McDonald’s restaurant on Edmonton’s Whyte Avenue strip. Raised in an abusive family, battling her own addictions and personal challenges, she tries to keep her three kids entertained so that staff won’t kick them out onto the street. All night. That’s what poverty looked like for Hilarie Fortune. Fortune counts herself among the city’s poor. 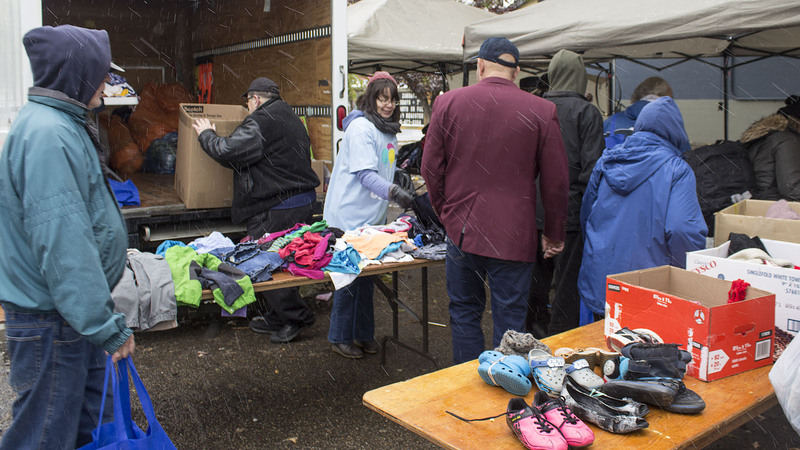 She is one of the more than 100,000 people in Edmonton — about one in eight — who live in poverty, according to End Poverty Edmonton, an organization that includes the City of Edmonton, the Alberta government, business and social services. End Poverty Edmonton draws the poverty line at roughly $17,000 in annual income for a single person, or $34,000 for a family. Beyond statistics are the human stories. Those like that of Hilarie Fortune are common across Alberta. They are especially visible in downtown neighbourhoods such as Edmonton’s Boyle Street-McCauley, with a reputation for poverty, homelessness, unemployment and other social challenges. 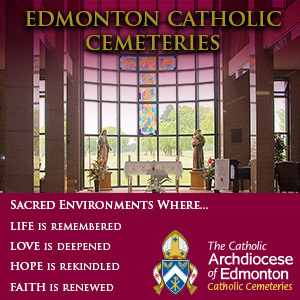 That’s where Edmonton Archbishop Richard Smith and others will serve a free meal this Saturday. The Nov. 17th luncheon, from 11:30 a.m. to 2 p.m., will be held at Sacred Heart Church of the First Peoples – Hilarie Fortune’s parish. The event, sponsored by Catholic Social Services, marks the second annual World Day of the Poor, proclaimed by Pope Francis. 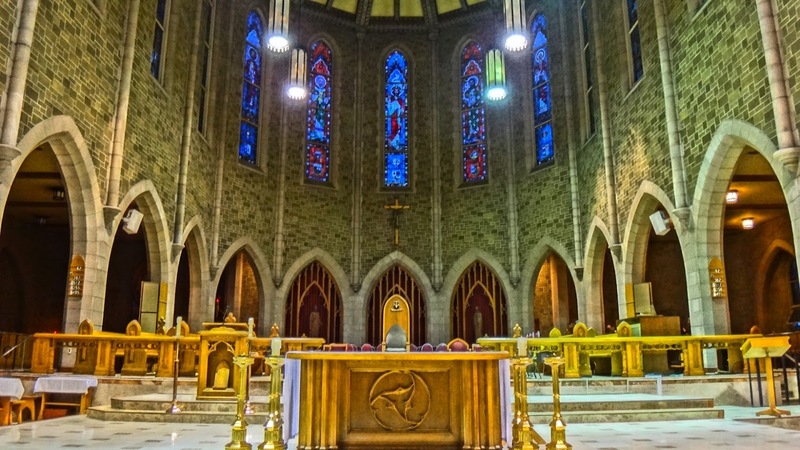 “It’s very much to our roots,” said Michelle Christie, chief services officer for Catholic Social Services, noting that Monsignor William Irwin founded the agency in 1961 to support the work of parishes in the community. Catholic Social Services provides shelters for women and children fleeing domestic abuse, women who are pregnant, as well as people who need transitional housing when at risk of being homeless. Whenever they can’t help, CSS also refers people to other agencies. For more information, contact CSS through its main phone line, 780-432-1137, or through its website. “All of our services do provide support to people who are living in poverty or trying to pull themselves out of poverty,” Christie said. The World Day of the Poor luncheon is a small gesture with a big impact. Hundreds are expected to attend. Hilarie Fortune will be there too, helping to ease the pain of poverty, as she does on other days as part of Sacred Heart Parish’s outreach ministry. By her own admission, Fortune, 41, has lived a rough life. She’s been poor. She was addicted to crack cocaine. She’s been jobless. She’s been homeless several times and may soon be again. But she’s also had successes. Her children are now 21, 19 and 16. Her eldest son just graduated from Canadian Forces training. Her daughter is studying to be a firefighter and paramedic. And her youngest son is a student at Austin O’Brien high school in Edmonton. Throughout her challenges, Fortune has had the strength to survive and, in her own way, succeed. And for that she credits an unshakeable faith. “I relate with the homeless people because I’ve always been homeless. I was born into violence, disruption, everything the streets offer,” Fortune said. Fortune was born in Oshawa, Ont., to “a criminal” Ojibway father and an Irish mother who was in the Hells Angels motorcycle gang and committed suicide. She and her three siblings were part of the ‘70s Scoop’ that saw aboriginal children placed in foster and group homes. Years later, Fortune was laid off from a good job but managed to escape a bad marriage. 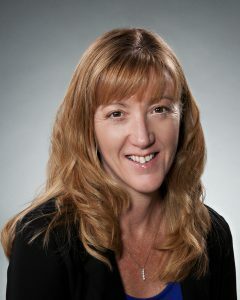 In 2007, she moved to Edmonton with her three young kids. Struggling to raise a family, Fortune considered herself among the working poor. End Poverty Edmonton estimates that 123,700 people in the city fall into that category, earning less than $15 per hour, the minimum wage. Catholic Social Services has seen an increased demand for help. “Our economy plays a large part of it. I think there are more people in need in our community in everything from subsidized housing to financial need,” Christie said. Fortune worked at various jobs. At night, they stayed at a hotel when they could afford it, at the YMCA, or in a booth at McDonald’s. It was around that time that Fortune found her faith at a shopping mall in artwork that became a metaphor for her own life. “I saw a picture of Christ, all beaten up behind the counter, and I fell to my knees,” she said. A friend later took her in and helped the family find a church. They settled on Sacred Heart. 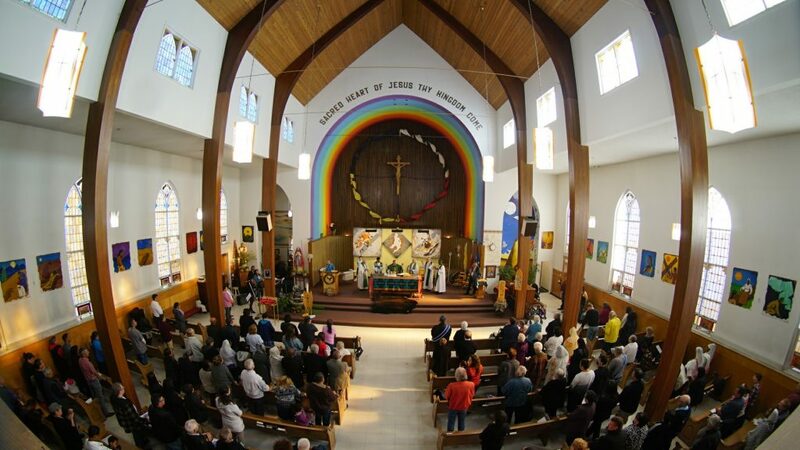 Sacred Heart Parish is located east of downtown Edmonton, and there are few other places in the city where you get a real sense of what poverty looks — and feels — like. Fr. 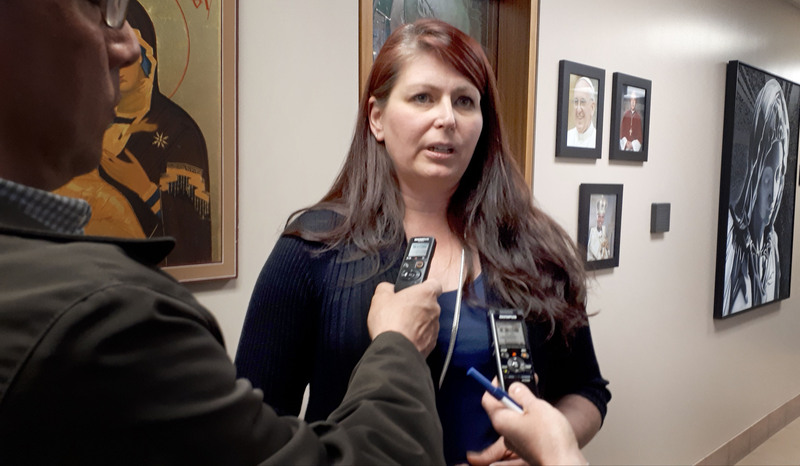 Susai Jesu, who has served as pastor for just over a year, says people come to Sacred Heart for various things: a coffee, food, warm clothing and, yes, some come for money to feed their addictions. The outreach ministry fills those immediate physical needs. However, Father Susai also finds a different type of need, stemming from the mental and spiritual impacts of loneliness, abandonment and sadness. Parishioners and passersby alike come by for a plastic cross, holy water, sweetgrass, smudging or even a simple blessing. “There are the poor, materially, but there are the poor spiritually and there are [the poor] also emotionally. That’s the kind of poor I see in this area,” he said. Father Susai is often asked for money. He’s been sworn at. He’s called in the middle of the night for help. But it’s all part of his ministry. 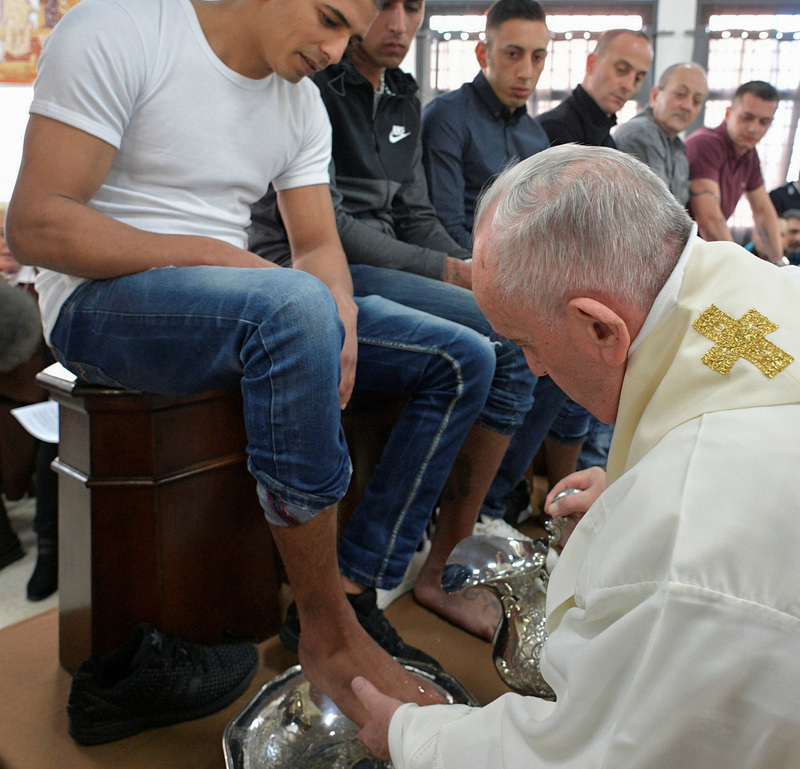 In his message for World Day of the Poor, Pope Francis himself refers to this in Scripture, quoting the psalmist who says “This poor man cried, and the Lord heard him.” In that same vein, the local World Day of the Poor luncheon – and Sacred Heart as a parish – feed the material and the spiritual. “We are bringing them together so we can find solidarity, not because we want to give them money or food. It is the togetherness. 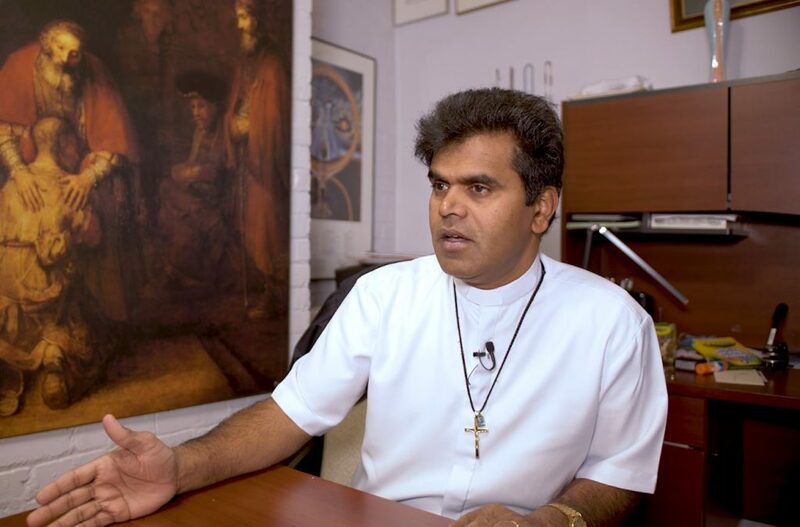 That is what Pope Francis is asking of us,” said Father Susai. 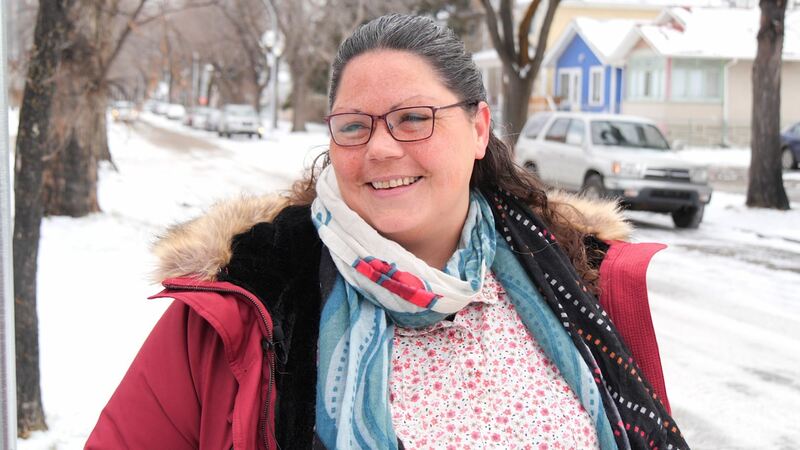 As Fortune walks past The Mustard Seed, Boyle Street Community Services and other community centres downtown, there are lineups for food and shelter, filled with homeless people and those dependent on drugs or alcohol. But among them is a sense of community that has helped Fortune and her family continue to move forward even when they had nothing but their faith. While that helped satisfy her material needs for a time, it was Fortune’s faith that helped her press on and overcome an addiction to crack cocaine. “I tried it once and it hooked me right away. When my oldest found out about it, he was slashing tires, bear-macing the drug dealers, and ran away. So that was it for me,” Fortune said. “I took it to God. He took every bit of it from me. I was down on the floor for four days. My kids were stepping over me. The floor was soaking wet as if you dumped a mop bucket. I just cried to the Lord. Fortune said God helped her survive this far – she even credits Him for healing her from an auto-immune disease. She may be homeless again when her landlord sells the building where she lives, and she is also looking for a job. In spite of her circumstances, Fortune’s faith is unshakeable and so is her commitment as a mother. “I take the fall for my children so my children won’t have to suffer. I don’t want them to suffer like I did,” Fortune said. Christie of Catholic Social Services dreams of the day the agency becomes obsolete. 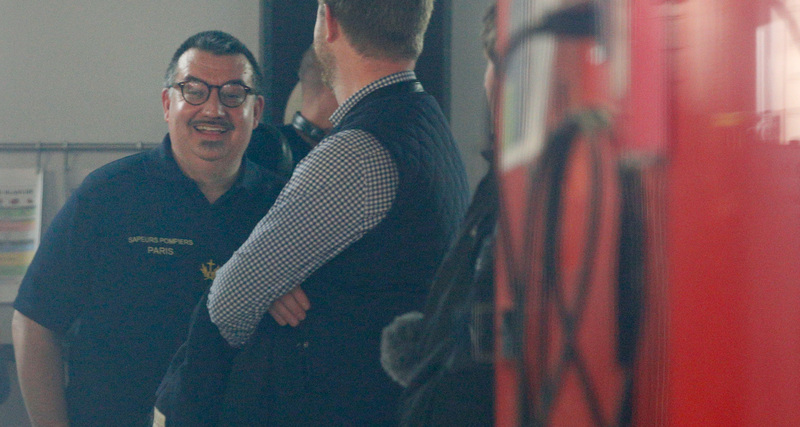 “Our hope and our goal is to work ourselves out of a job and that the needs of the community are met and that we’re living in a society that takes care of our most vulnerable,” Christie said. Until that time, there is a need to support CSS programs and services. CSS hopes to raise $2.4 million through its annual Sign of Hope annual fundraising campaign. 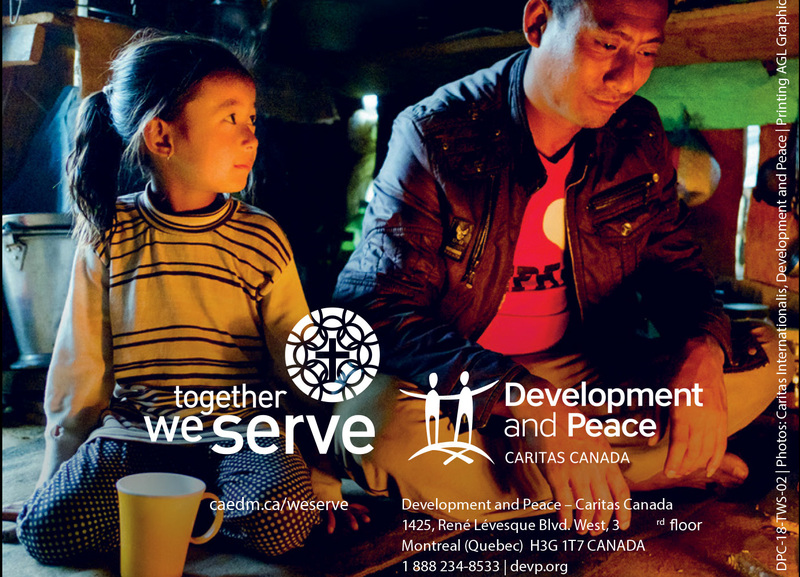 The agency also receives support from parishes in the Archdiocese of Edmonton through the annual Together We Serve appeal. Father Jesu said each person can do their part to help ease the pain of poverty. Like him, they can share a meal with the poor. They can ask them about their lives. They can share an emotional connection, even if it’s only for a brief few minutes with someone who is struggling.